Trading in Bitcoins on Mt.Gox since Wednesday. The price of Bitcoins has plunged more than 70% in the past two days, sparking a rush of activity that overwhelmed trading platforms and suggested the bubble in the virtual currency has burst. 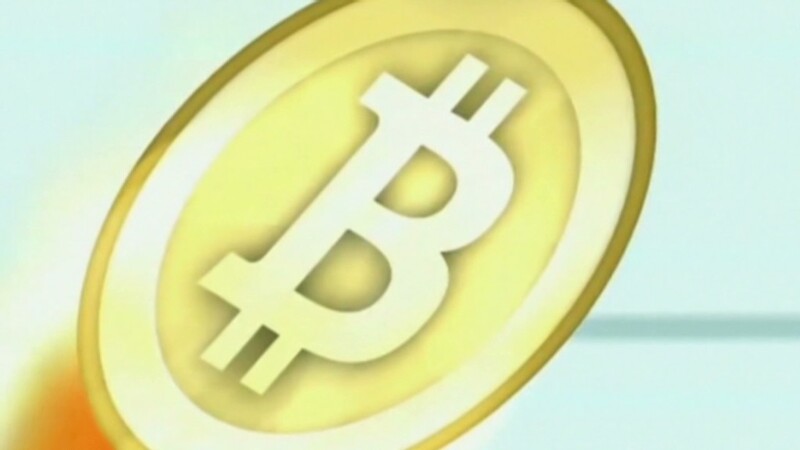 Bitcoins were down to $77.56 as of 3 p.m. ET Friday. Prices reached as high as $266 per Bitcoin around 7:30 a.m. ET Wednesday. But the price started to fall through the rest of day and Thursday morning. At about 10 a.m. ET Thursday, trading was halted on Mt.Gox, a Japan-based exchange that claims to handle 80% of Bitcoin trade worldwide. The price at that time was already at about $123, down more than 50% from the peak. Mt.Gox issued a statement Friday attributing both the pre-halt price fall and the halt in trading to the rush of new customers trying to trade in the electronic currency. "The rather astonishing amount of new accounts opened in the last few days...made a huge impact on the overall system that started to lag," the exchange said. "As expected in such situations, people started to panic, started to sell Bitcoin in mass...resulting in an increase of trade that ultimately froze the trade engine." The exchange said the shutdown was different from the cyber attacks that hit it and other Bitcoin sites earlier this month. During the Mt.Gox trading halt, trading continued on some smaller Bitcoin markets, and the price fell sharply. When trading resumed on Mt.Gox about 10 p.m. ET, the price quickly plunged as low as $69.45, ricocheted back up to $135.69, then started to fall again. All the new volume flooding back to Mt.Gox caused another 2-hour halt in trading. 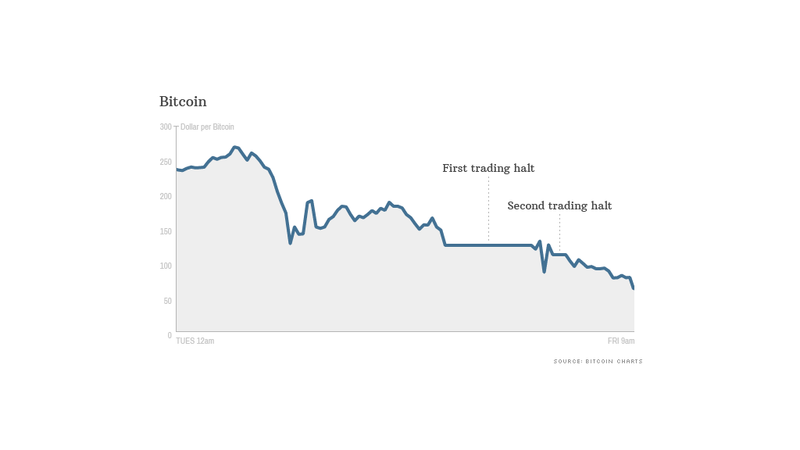 When trading resumed again, Bitcoin prices continued to fall. Since the peak on Wednesday, owners of Bitcoins have lost more than $2 billion combined. Societe Generale currency analyst Sebastien Galy said that even if the bubble has burst for Bitcoins, it doesn't mean it won't have additional rallies in the future. "Its trading is typical of a bubble," he said. "But there are still people who believe in it. You can't say we're going to zero tomorrow. Even assets that have no underlying value have people willing to trade in it." Galy points out that even the prices Friday were highly inflated from historical valuations. In mid-March a Bitcoin was worth only $47. He said what's so unusual about the Bitcoin bubble is how quickly it formed and how fast it may now disappear. Bitcoin is a four-year-old digital currency developed by a hacker who still remains anonymous. It's designed to allow worldwide payments with extremely low processing costs. Galy said the wild rise in price moves in recent weeks undermines Bitcoin's original purpose. "If their intent was to have a means of exchange, then they failed spectacularly," he said. "If we go back to values that are more normal, then the original thought process behind it can take hold again." Have you been trading in Bitcoins during their run? We want to hear your story. E-mail us and you could be in a future article.